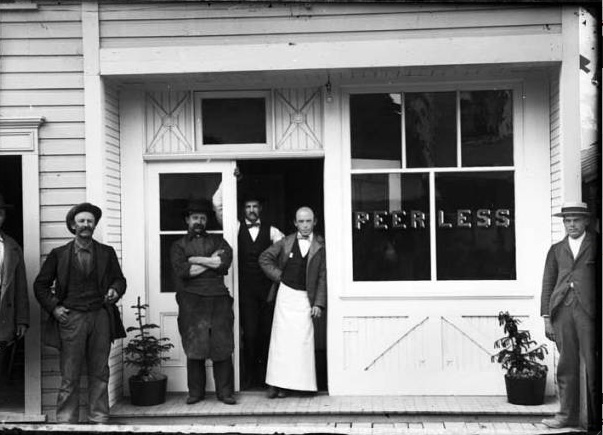 Harry Phillips came to Skagway in 1898 and opened the Peerless Saloon on 4th Avenue mid block, south side, between Broadway and State which is now a small residence off of the alley. The Peerless only was in business for about a year and then Harry moved to Dawson and opened the Office Bar and Saloon with his wife Annie. By 1901 he was 34 and she was 27 but they had no kids. Perhaps he met her in Skagway or Dawson. After that, I can find no trace of them, perhaps they moved back down south (they were both born in the U.S.) In the photo above he would be the proud owner, but which one is he? any guesses? I saw that this little label sold on Ebay for $417 recently. The Eagle Brewery was run by William and Bertha Schwartzenberg who were from Germany. It ran from 1905 to 1910 here in Skagway. Cheers to Bill and Bertha! Ancestry message boards for Apperson; ebay. Mr. Pillman was born in January 1862 in Canada. He and his wife Elizabeth and daughter Ethel lived in Skagway from 1898 until about 1901 and ran a grocery store and was also an undertaker. When he moved to Atlin he also had a grocery store and a hearse which he would use to transport both fruits, vegetables and corpses. Some people objected to that though. We photographed this little sign on a building there which says he had the first steam peanut roaster in Skagway in 1898. Who knew?!!! Wouldn’t one of these really add to the ambiance of Skagway in the summer? 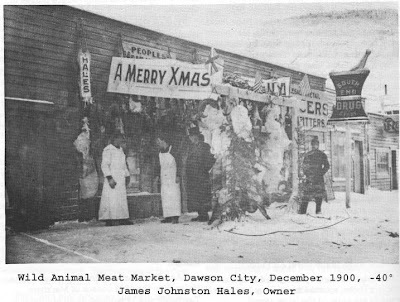 The Wild Animal Meat Market in Dawson in 1900, James is seen in his butcher’s apron in front of the store. 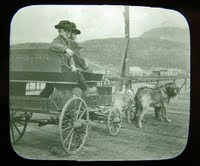 “The trip from Chatham to the Yukon can now be made in two weeks,” said John Hales in 1897. Today you could make it in one day or two at the most. On his return trip to Chatham he spent a few days in Seattle, arriving home well and hearty, stating that he intended to go back next year, 1899, which he did. “The Klondike is a great place and I like the climate,” said James Johnston Hales in 1899. He brought home a number of gold nuggets which he was very proud of. An exceedingly large and beautiful one of considerable value he gave to his mother Ann Johnston Hales. “Apparently Unaware of Approach of Locomotive James Johnston Hales of Cherry Way was killed this morning when his auto was struck by an Western Pacific freight train on the road crossing on Cherry Way. Apparently unaware of the approach, Mr. Hales was thrown from his machine in the impact and died a few minutes later before an ambulance could take him to a hospital. He had a broken leg and arm, a basal fracture of the skull and internal injuries. It was reported that two cats were supposed to have been in the car with Mr. Hales. They were also killed by the crash. Hayward Daily Review , August 30, 1934; family websites. “During the Alaska Yukon Pacific Exposition, held in Seattle in 1909, Mr. Herman Kirmse was awarded four first place gold medals and two second bronze medals for his dislay of gold nugget jewelry, baskets, ivory, and other Alaska made handicraft. A branch store was opened in Ketchikan. “In October of 1912, he, his wife, Hazel Cleveland Kirmse, daughter Gladys, and the two sons Jack and Dan were spending several months in Ketchikan before going to Seattle for the winter. Late Monday afternoon October 12, 1912, he went down to the Heckman wharf to greet friends on the Steamer Humbolt, which was just docking. While he was standing on a stringer on the wharf, one foot on a piling head which was cut so it beveled outward and shaking hands with a friend on board he apparently lost his balance and fell between the steamer and the wharf, his head striking the guard rail of the Humbolt. 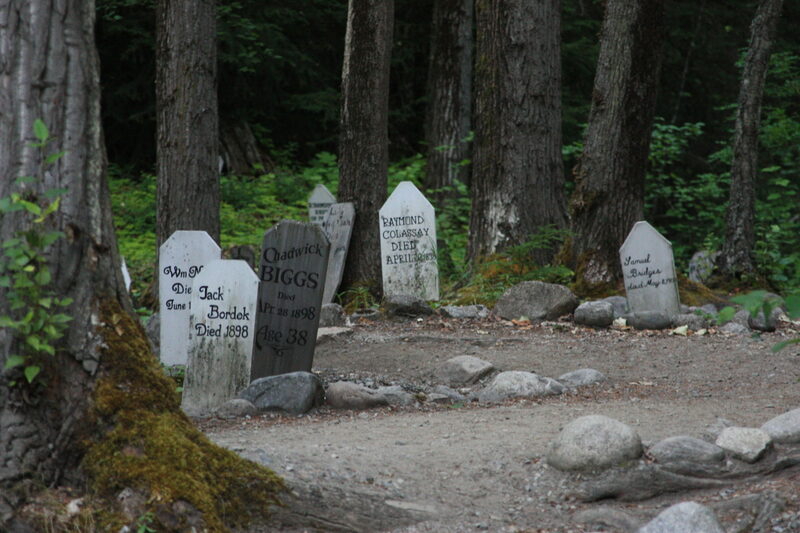 Death, which was instantaneous, came as a shock to all southeastern Alaska. “To Southeastern Alaskans the history of our late esteemed friend is interesting and the results obtained through, and by, his aid will always keep his name alive. “After her husband’s tragic death, Mrs. Kirmse sold the Ketchikan business and carried on alone, with the original Skagway Store. But, as soon as he could see over the counters she had the devoted and able help of their elder son, Jack. “Since 1962, when his mother passed on, Jack Kirmse has continued with ever increasing success to operate the family business in the fine tradition of his parents. 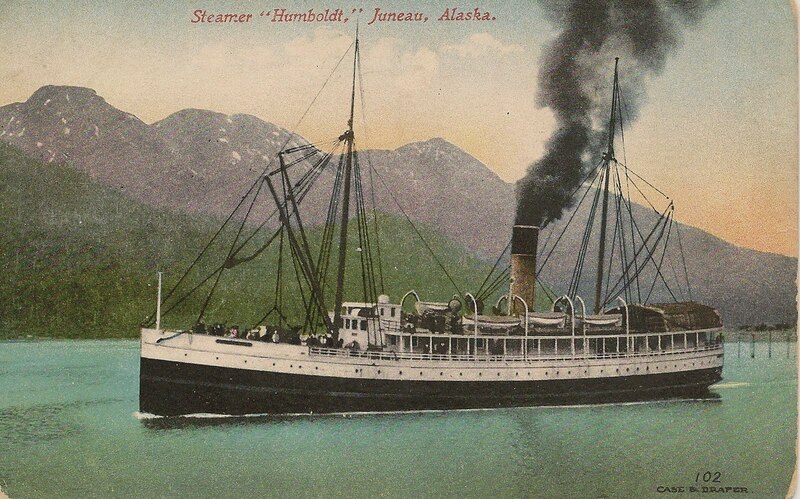 Seen above is the Steamer Humboldt.